Every company can improve efficiency, and Toronto-based Curbz Landscaping was no different. The owners, Ian Grieve and Judith Inglis, are a team with each running a separate division of their company. One focuses on softscapes and small projects; the other focuses on hardscapes and larger projects. Their left brain/right brain approach to management, clients and projects has given them a competitive advantage. They offer great design solutions, do heavy-duty work and finish the details with a flourish. They’ve cultivated their employee culture with the same finesse and energy. 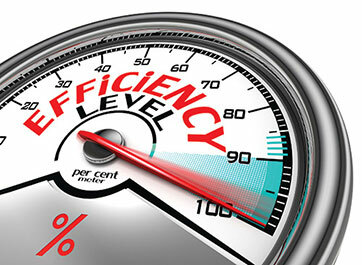 One of their primary focuses since we first met and began working together is efficiency and gross margin. We followed a simple, three-step approach I call “believe it, see it, do it.” Benchmarking your numbers allows you to believe that it’s possible to make improvements. There are four causes where there could be a profit gap: volume/overhead, margins, cost management and efficiency. We looked at each of them and saw the profit opportunities in each. Then we set an action plan. Once you believe it and see it, doing it becomes the easy part. Sell to like-minded (green light) clients. Keep the same people on the same job until done. Think efficiency and make daily improvements. Live and die by the quote, but sell change orders. Clean up and organize daily (trucks, trailers and sites). It’s OK to admit mistakes internally. Maintain strong relationships with vendors. Respect each other, the clients and their neighbors. Share feedback on results weekly (top down and bottom up). Recognize and reward the employees who work by these values. These 10 commandments will allow each Curbz crew to bill 45 hours per man per week. That’s their success metric. What’s yours?